Buckhorn AS342420 Attached Lid Hand Held Container for shipping, picking and storage. Ideal for applications in distribution, grocery and general manufacturing, these containers deliver long-lasting, cost-saving performance. 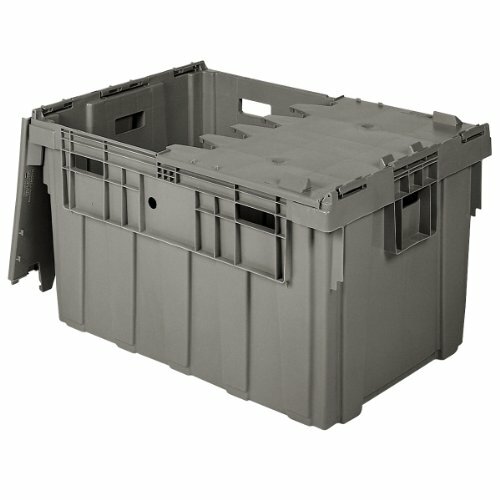 Buckhorn offers an extensive selection of reusable bulk boxes, hand-held containers and pallets designed to protect your products, improve your workflow, lower your operating costs and increase your profitability. We provide superior custom capabilities that fit your precise applications. Our comprehensive market knowledge, attention to quality and dedication to customer-driven innovation adds value at every step of the process. Plus, Buckhorn is committed to protecting the global environment. Put that package together and you get Buckhorn - your single, reliable source for high-quality, cost-effective reusable packaging and material handling systems. If you have any questions about this product by Buckhorn, contact us by completing and submitting the form below. If you are looking for a specif part number, please include it with your message.